It would be a big mistake to underestimate the power of the new Nokia. The well-known brand, accompanied by HMD Global, made a discreet comeback last year and has already made great strides. In 2018, it looks like a resurgent Nokia is ready to show its teeth and make an aggressive bid to capture the market. But how? Just look at the Nokia 8 Sirocco to see how the manufacturer wants to offer users what they can. A really elegant design, well made, beautiful to see and characterized by a display with curved edges reminiscent of the S7 Edge. In addition to design, there are two elements on which the brand has focused: the camera, created in collaboration with Zeiss, and the pure software experience thanks to Android One. The Nokia 8 Sirocco is a flagship ready to compete with the big hitters already on the market. No, you won't find the Snapdragon 845 inside. Instead we have the 835. Alberto Colombo, General Manager of HMD Global for Italy, explained to me that the manufacturer preferred to go safe and offer its users a high-performance and reliable chip, already present on many devices on the market. This is demonstrated by HMD Global, which ranks 11th in the list of smartphone manufacturers per unit sold. The data released by Counterpoint show that the Finnish company sent a total of 21.1 million devices in the last quarter of 2017 (4.4 million smartphones, 20.7 million feature phones) thus surpassing brands such as HTC, Sony, Alcatel, Lenovo, Asus, Google and Meizu. Samsung, Apple and Huawei manage to do better but don't underestimate the results achieved by HMD Global. Beyond the numbers, the Nokia phoenix has risen from the ashes in a rather short period and in 2018 is ready to follow through on the promise shown in 2017. As you can see, HMD performed best in sales of feature phones and not smartphones. With Nokia 6, Nokia 7 Plus and Nokia 1 announced at MWC 2018, HMD Global presents a catalog of devices for different users and needs. The priority is users and their needs. Software-level support is an important aspect and HMD Global has so far shown us how the promises made so far are being taken seriously: the Nokia 8 runsAndroid 8.1 Oreo (and only Google Pixels currently run this version of the software) and the Nokia 8 Sirocco, 6 and 7 Plus are part of the Android One program that will be extended to new arrivals. The Nokia 8 Sirocco tries to offer the best also on the hardware side but the brand doesn't neglect modern trends. Alberto Colombo has in fact revealed that in the following months Nokia users will be offered the possibility of using facial recognition. At the moment it is not clear which devices will benefit from this feature and when, but HMD Global is working up there to keep pace with the trends. Nokia is a name familiar to many, and it's easy to feel affection for this brand that, over the years, has offered us durable, long-lasting devices which were trend-setters in their day. We were talking about mobile phones and not yet smartphones and with the arrival of the latter and some unfortunate managerial decisions, the Finnish company lost its glamour. But since 2016, Nokia has been back in the limelight under the wing of HMD Global. Last year it played the nostalgia card with the revival of the Nokia 3310. The plucky little phone continues to be appreciated today and now has a kind of successor. I'm talking about the Nokia 8110 4G, even if calling it a successor is not correct because the new remake offers a bit more in terms of technology. The new original Nokia 8110 4G model fully reflects the design of the original model (the banana body) and in addition to the yellow color, it becomes smarter. 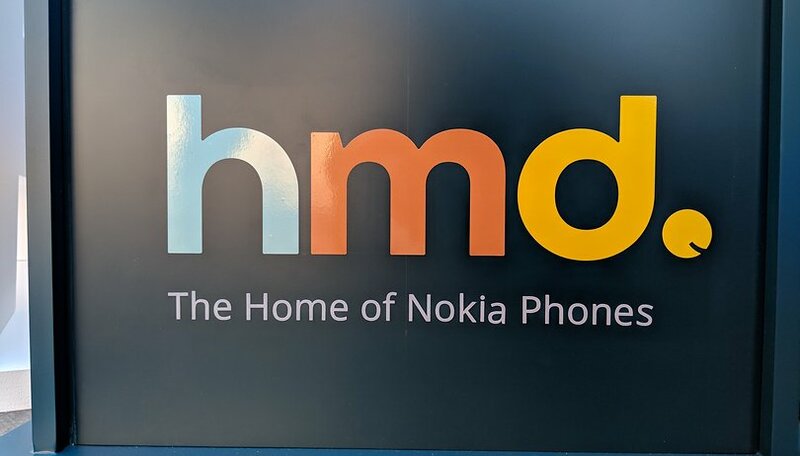 And if you've enjoyed the two remakes made by HMD Global in 2017 and 2018, get ready because a new member of the original family could arrive in 2019. Artificial intelligence and voice assistants? It is not easy to combine hardware and software in a suitable way, besides doing adequate research on what are the real needs and uses of users, according to Alberto Colombo. It's Google that now has the greatest control of the situation with Assistant but HMD Global continues to look around and will not neglect any collaborations with new and old partners. Personally, I think the manufacturer is doing a very good job and if it continues on this path, optimizing some components (such as the camera), HMD will not have any problem in taking on the other big competitors already on the market. What do you think about HMD Global and the new Nokia devices? One of my first phones was a Nokia candy bar style one. Loved it and the snake game. I'm looking forward to seeing what value Nokia will bring to the mid range market but it will be a challenge for them in the flagship market in my opinion since essentially Apple and Samsung have that. It will take time for the new Nokia to find their stride, and the market is super competitive for flagships. But, I'm absolutely loving the fun new retro phones they're putting out now, especially the 8110. It's a bit sad that a feature phone was the highlight of MWC for me. This phone is very pricey at over 900.00 USD. No headphone jack & the 835 processer. Yikes, if released 6mos ago it would have stood a better chance. Now it get's released in 2018. For this kind of money the s9+ for me would be a better choice.